Boeing announces their contributions to make the world a better place with more than $50 million in grants to more than 500 nonprofit organizations across 50 countries globally. 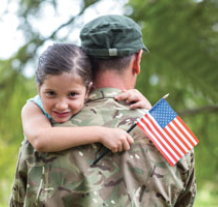 The annual contributions include a three-year commitment of more than $25 million in support of veterans' recovery and rehabilitation programs and transition services. Boeing [NYSE: BA] announced the charitable grants package will fund programs through 2018 and supplement an anticipated $117 million in company-wide business and employee contributions to similar causes—bringing Boeing's total community investments to approximately $167 million this year alone. 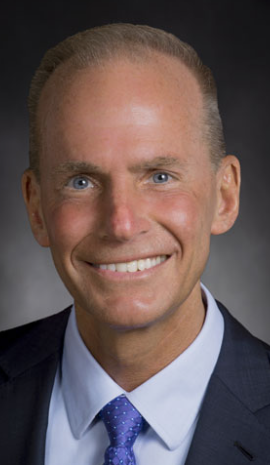 Dennis Muilenburg, Boeing chairman, president and chief executive officer said that they aspire to be a top performer in every area of their business, and that includes leading in the communities where their employees and their families live and work, and that by harnessing their teammates' unique skills and passion for giving, their professional networks and partnerships, and their financial resources, they will inspire the dreamers and doers of tomorrow and drive positive, lasting change in their communities across the globe. Anchored by local and regional employee-engagement activities, Boeing charitable grants are geared toward developing tomorrow's innovators through investment in the skills required in today's modern workplace, and supporting military veterans and their families transitioning into the civilian workforce. At a local level, Boeing investments address unique challenges and issues that are critical to those communities where the company operates. In the U.S., some of the largest Boeing grants will support FIRST Robotics and its focus on primary, middle and high school STEM proficiency and diversity, USO Pathfinder and its holistic military transition services, and National Fund for Workforce Solutions through its Boeing on-the-job training program that focuses on strengthening the manufacturing workforce pipeline. Outside the U.S., Boeing's engagement includes Learning Links Foundation to help train India's next generation of aviation workers; Ladies Learning Code to develop 21st century skills in children and adults in communities all across Canada; and Newton International to place experiential aerospace education in the hands of children in several European countries. Our Future: Tomorrow's Innovators: A total of 188 grants targeting increased STEM diversity, proficiency and interest among K-12 students. Our Homes: Dynamic Communities: More than 130 global community grants supporting a range of programs from environmental projects in Puget Sound, Washington, to health programs in South Carolina and workforce development initiatives in India. A full list of Boeing's 2018 grantees can be found here.